Information Management Systems offers secure data driven printing and mailing services that brings personalized printing together with mailing production to complete a wide range of printing and mailing projects. IMS delivers services that extend the capabilities of the companies we work with to provide flexible on-demand printing, finishing, mailing and programming. We have the equipment, technology and knowledge to meet the requirements for many ad hoc or on-going printing and mailing projects. IMS is focused on delivering printing and mailing production services that securely extend the capabilities of companies we work with. Customers, from their computer, can securely send and receive data files, proofs, approvals and data audits to streamline the production process and ensure quality. 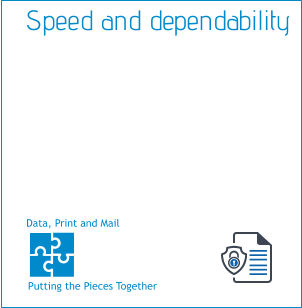 IMS can deliver hundreds of thousands of variable printed pages a day (or any smaller quantity needed) and the capability to finish and mail projects with next day or same day turns when required. 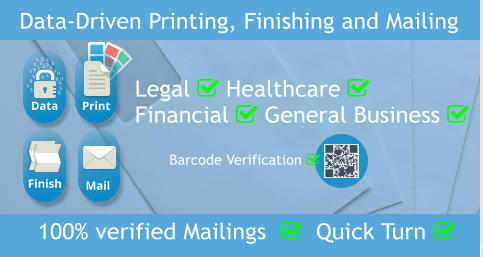 Flexible and secure production capabilities for your important digital printing and mailing projects. • Third-party validated application and datacenter controls from SOC 2 and SSAE 16 audits. 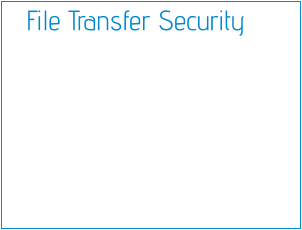 • Bank-level encryption in transit and at rest. • Two-factor authentication and single sign-on for added security. IMS delivers services that extend the capabilities of the companies we work with to provide flexible on- demand printing, finishing, mailing and programming. We have the equipment, technology and knowledge to meet the requirements for many ad hoc or on-going printing and mailing projects.